Reintroducing Repatriation Requirement: Have The Finance Ministry & Central Bank Gone Back On Their Pledges? Prime Minister Ranil Wickremesinghe, in presenting the Economic Policy Statement or EPS of his Government in Parliament in November 2015, announced that the Government would repeal the age-old Exchange Control Act or ECA. Instead, he said that the Government would enact a new Foreign Exchange Management Act or FEMA. The main difference between the two legislations is that ECA treats exchange control violations as criminal offences, while FEMA would make them civil offences. Two weeks later, Finance Minister Ravi Karunanayake reconfirmed the Prime Minister’s pledge when he presented Budget 2016 in Parliament. The business community welcomed this move because ECA had the notoriety of being abused by those in power at the Central Bank as well as in the Government to persecute their political or personal enemies. One of the best known victims of ECA was its own architect, the late N.U. Jayawardena, the first Ceylonese Governor of the Central Bank. In the early 1990s, one of the companies in his conglomerate had made some foreign deals without getting the prior approval of the Exchange Controller. An inquiry was held and a thumping fine was imposed on N.U. by the controller. N.U. maintained that he was persecuted by the then Governor of the Central Bank who had fallen out with him. However, on appeal, the thumping fine imposed by the controller was compounded by the then Minister of Finance to a nominal sum but not before the Governor in question had lost his job. He became a victim of his own ECA for a second time in the mid-1990s. That was when the Merc Bank, which he set up in the mid-1990s, was denied a foreign exchange dealership by the Minister of Finance, though it had had the Central Bank’s sanction to operate as a commercial bank. Under ECA, it is the Minister of Finance who has the discretionary authority to grant approval to authorised dealers in foreign exchange. In the Merc Bank’s case, this approval was not granted by the Minister to enable it to handle foreign exchange transactions. Hence, without profitable foreign exchange business, the Merc Bank soon became bankrupt and had to be sold to another bank which had the foreign exchange dealership. N.U. later confided in this writer that one of the mistakes he made in his professional career was to make ECA a permanent law with draconian powers given to those in the Central Bank and the Ministry of Finance. There are many such instances where ECA was selectively used by those in power to target those whom they did not like. Hence, it is quite natural for the business community to treat it as a draconian law. Exchange control was introduced by the Colonial Administration during the Second World War to prevent Ceylon’s foreign reserves from falling into the hands of the enemies of the empire, namely the Germans and the Japanese. It was thus a temporary measure to be taken out of the law books once WWII was over. However, N.U., who was the Controller of Exchange during the war, had a particular liking for the legislation. Thus, he carried the idea with him when he joined the newly-established Central Bank as its Deputy Governor. He was instrumental in making it a permanent law when he became the Governor of the Bank in 1953. All the successive governments since then used the provisions of ECA liberally to control inflows and outflows of foreign exchange to a greater or a lesser degree. They justified those measures claiming that they were being taken in national interest to protect the country’s wealth. During the interim period between Ceylon gaining independence in 1948 and the introduction of ECA in 1953, the newly-elected rulers had moral justification of continuing with exchange control due to events that had taken place outside Ceylon as well as those happening in Ceylon. The outside events were the unilateral introduction of exchange control by the British government and the newly-independent India in late 1940s. Ceylon was a casualty of those measures taken outside its borders because its foreign reserves had been kept in those two countries. Ceylon had a massive amount of foreign reserves at the time of gaining independence – adequate for meeting 17 months of future imports – which was the envy of all the newly independent nations at that time. Now, those assets had been blocked by the exchange control introduced by the two countries which had promised to protect and make them available to Ceylon freely when it wanted them. Later, foreign reserves so blocked were released to Ceylon after conducting continued negotiations with the two countries concerned. However, these two events led to establishing high moral grounds in newly independent Ceylon that exchange control was necessary to protect the country’s foreign reserves. At the same time, internally, Ceylon started experiencing a depletion of foreign reserves due to its overconsumption and the new rulers thought that the solution lay in making exchange control a permanent law. That was the beginning of an era which engraved in the psyche of Sri Lankans, including those in the Central Bank, that exchange control is a must and without it the country cannot even exist. 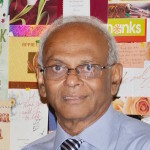 Thus, when exchange controls were to be relaxed after Sri Lanka adopted free market economy policy in 1977, it was a gigantic task for the then Minister of Finance, Ronnie de Mel, and the Trade Minister, the late Lalith Athulathmudali, to convince those in the Central Bank and the Ministry of Finance that a country could live without exchange controls. A case in point was that the neighbouring Maldives was doing well without exchange controls. In this background, Prime Minister Wickremesinghe is now planning to repeal ECA and introduce a public friendly FEMA in its place. But this is not the first time he attempted to do so. When he formed a government in 2002, action was taken to draft a new FEMA decriminalising exchange control violations and taking out the unquestionable powers that had been vested with those who implemented ECA. The Bill was gazetted and placed on the order paper of the House. However, it did not see the light of the day since the Supreme Court at that time created some legal hassles for its enactment. Wickremesinghe lost power in 2004 and therefore, it was left for the new government that came to power to take the matter forward. However, it decided to shelve FEMA and started to use ECA in a more draconian manner. In this background of moving for further liberalising exchange controls, it is strange that Finance Minister Ravi Karunanayake has used the provisions of ECA to reintroduce the requirement that export proceeds should be brought into Sri Lanka compulsorily by exporters, a measure known as ‘repatriation requirement’. This has been announced by the Central Bank in a press release issued in late April, 2016 which reads as follows: “As part of current policy measures taken to improve the foreign exchange inflows to the country, the Hon. Minister of Finance has issued the Gazette Notification (Extraordinary) No: 1960/66 dated 01 April 2016 containing the following. i) Repealing the exemption granted in respect of payment for goods exported from Sri Lanka in the Extraordinary Gazette Notification No. 759/15 dated 26 March 1993.
ii) Requiring repatriation of any such payment retained abroad as at 01 April 2016 to Sri Lanka not later than 01 May 2016.
iii) Requiring any such payment received on or after 1 April 2016 to be repatriated to Sri Lanka within 90 days from the date of exportation of goods. However, one month after the use of the provisions of ECA to reintroduce repatriation requirement for export proceeds, Finance Minister Ravi Karunanayake is reported to have named the very same ECA ‘uncivilised’ and ‘draconian’ needing substantial amendments. Thus, it is an uncivilised and draconian law which he and the Central Bank have used to improve the foreign exchange inflows to the country. The Central Bank says that the purpose of Minister’s introducing the repatriation requirement after 23 long years was to improve the foreign exchange inflows to the country. By saying so, the Minister and the Central Bank have admitted that foreign exchange flows are not coming to the country in adequate amounts. Naturally, a country which had experienced a deficit of some $ 1.5 billion in its total inflows and outflows of foreign exchange in 2015 cannot bring adequate foreign exchange inflows to the country. But the Minister’s reintroduction of the repatriation requirement presumes that it is the fault of the exporters to create the shortage. It is a strange presumption because in a scenario of declined exports in 2015, exporters cannot bring in money which they have not earned. Besides, the Central Bank Annual Report for 2015 had blamed the inadequate financial flows in the year, and not the exporters, for the shortage of foreign exchange flows (p 10). What it means is that it is the inadequate receipts on account of investments, borrowings and trade credit which have contributed to the shortage and not exporters keeping money out. Hence, it appears that the wrong party has been punished by the Minister and the Central Bank. The gazette notification issued by the Minister of Finance has made repatriation of export proceeds mandatory but surrender of the proceeds to a commercial bank – known as ‘surrender requirement’ – voluntary. All that is needed to be done by exporters is to bring back whatever foreign exchange they had kept outside Sri Lanka before April by May and all exports made after April, within three months. If the presumption that exporters have been keeping money outside Sri Lanka is correct, by now, the foreign exchange market should have been flooded with dollars. But the dollar shortage in the market, according to market reports, is continuously being met out of dollars supplied by the Central Bank through a state bank. Hence, it is clear that the Minister and the Central Bank have resorted to an irrelevant policy measure to improve the inflow of foreign exchange to the country. Sri Lanka did away with both the repatriation and the surrender requirements in 1993 when it agreed with IMF that it would not impose any restriction on current transactions done with the rest of the world. Current transactions cover exports, imports, purchase and sale of services, incomes such as payment or receipt of wages, interest, rents and dividends and receiving or making out remittances. Sri Lanka was the first South Asian country to make this promise to the rest of the world through IMF known as accepting Article VIII status of IMF. This signified a major change in the country’s approach to exchange control. The next step was to liberalise even the financial and capital transactions making Sri Lanka rupee fully convertible in the international markets like the currencies of manyEast Asian countries. Hence, Sri Lanka was to liberalise exchange controls and not to tighten them. By doing away with the repatriation and surrender requirements, Sri Lanka made the announcement that it trusted its exporters. Exporters and other recipients of foreign incomes have incentives to keep money out of the country only when they mistrust the macroeconomic policy being pursued by the Central Bank and the Government. The mistrust arises when there are anomalies in the policy. One such anomaly is the maintenance of a low interest rate regime by the Central Bank when the Government runs a huge deficit in the budget and has to borrow from the domestic and external markets to fill the gap. Naturally, in such a scenario, the interest rates should go up. But the Central Bank, in order to support the Government in its profligate expenditure programs, keeps interest rates down by printing new money. It would lead to future inflation and pressure for the rupee to depreciate. The Central Bank may keep the exchange rate fixed by supplying dollars to the market out of its reserves but it can play this game only as long as it has sufficient reserve of dollars with it. Sooner or later, when it exhausts all its reserves, it has to give up the game allowing the currency to have a freefall in the market. This was what happened to the bank of Thailand in 1997. Some central banks would continue with the game by borrowing foreign currency through SWAPs and repurchase agreements but once again come to their limits. At that point, the central bank, with an eroded capital base and a negative networth, would become bankrupt needing outsiders to rescue it. This was the experience of the Central Bank of the Philippines in 1993. Both these events have been analysed by this writer in a previous article in this series. Admission of flawed macroeconomic stance? Though central banks think that they can fool the public with sugar-coated rosy analyses, the market participants are better informed. It is inevitable that they take early measures to avoid a large scale loss. Some others will simply seek to make speculative profits, as what the international investor George Soros did with regard to Thai Baht in 1997. Hence, it is the responsibility of the central bank to remove incentives for exporters to keep their export proceeds out. This was the rationale for doing away with the repatriation and surrender requirements by the Central Bank in 1993. In other words, in that year, both the Central Bank and the government promised to Sri Lankans and others outside Sri Lanka that the country would follow a prudential macroeconomic package. Now that the Finance Minister has brought back the repatriation requirement, he has admitted that the macroeconomic policy stance of the government is flawed. Banks overexposed to foreign exchange crisis? It appears that, before introducing the measure in question, the banking regulators of the Central Bank have not been properly consulted. This is because the repatriation requirement sans surrender requirement would permit exporters to keep their money in foreign currency account. Since the objective of the Finance Minister has been to improve foreign exchange inflows to the country, it is presumed that banks would sell those foreign exchange balances to importers and others who demand for dollars. In that scenario, banks would have a huge external exposure since they are with dollar liabilities without corresponding dollar assets. This is the present situation in the banking sector in Sri Lanka where banks hold more foreign exchange liabilities than assets. The new repatriation requirement will worsen the situation. It would not pose a problem if the country has enough dollars to supply to them whenever they needed dollars to meet their dollar liabilities. Since Sri Lanka does not have such a dollar surplus, the banking sector runs the risk of failing to meet their dollar liabilities. It would frighten away even the NRFC depositors from having accounts with Sri Lankan banks. Thus, the new repatriation requirement introduced by the Finance Minister and the Central Bank jointly would give a bad signal to exporters and others that Sri Lanka would tighten exchange controls instead of relaxing them. Sri Lanka did not resort to this measure even when it faced a serious external sector crisis in 2001 and 2009. Thus, the measure introduced is tantamount to going back on the pledge given by the Prime Minister in Parliament. When Malaysia fell into a economic crisis during the Asian Crisis the then Malaysian Prime Minister Mahathir Mohamed appealed to the Malaysians to come together to tide over the problem.He initially made a request to the Malaysians to bring back into the country the Malaysian currency the Ringitt that were held abroad as the Ringitt was a convertible currency at that period. The Malaysians responded positively and further the ordinary citizens voluntarily surrendered gold and gold jewellery with a promise that they will be reimbursed as conditions improved. So in this case when Sri Lanka re- introduces “Repatriation Requirement” caused by blind borrowing in the past with a view of getting the country back on track its nothing but fair the exporters oblige.If they fail to do so and are selfish the whole country including themselves will sink. There are differences between Malaysian crisis and Sri Lankan crisis. Malaysian crisis is sudden but Sri Lankan crisis is progressive and fueled by wrong/inconsistent/shortsighted polices. – Increase stock of money domestically but maintain a relatively fixed exchange rate. – Borrow foreign exchange and sell below market to depend the exchange rate. – Some govt organizations are trying to increase exports but CBSL’s policy works against it. – CBSL’s policies led to SL products being less competitive (i.e. labor) in the region. – Chase away export oriented investors. I think RW’s policy statement is just another piece of paper with no vision built-in because there is no coordination with inter-dependent policies, no ownership (or oversight or corrective action) and seems there is no strategic plan to support it. I do agree that there is a difference between the two financial crisis, I also agree that Sri lanka’s problem emanated through a period of time,but remember we borrowed blindly purely on giving Government Guarantees with no holds barred which the Lenders readily accepted gleefully. I understand there is a probe going in this respect funded by the ADB. As a result of these borrowing for several White Elephants in the last several years the country has been driven to an economic mess, and is now up to the eye balls in debt, all of which the legacy Ranil was inherited with. A small tale will help me drive my point, a ship on a long river cruise set sail with the elite in the upper deck first class enjoying all the comforts while the poorer were housed in the enclosed lower class below deck. The lower class passengers ran short of water for survival and they appealed to the First Class passengers for water but the affluent turned down their request even though they had more than plenty of it.The poor on the lower deck through desperation bore a hole on the side of the ship to meet their requirements of water and then you know what happened the whole ship went to the bottom rich,poor and all. In a similar vein if the Exporters who have been enjoying certain privileges through the years dont rise to the call of the Government the whole nation will sink like what happened to the ship including the Exporters,Importers and all the rest. Btw, I am not an exporter but live in USA. I do agree that “Repatriation Requirement” may help slightly but the impact will dilute very quickly. It may also give a wrong signal to foreign investors (FDI) as well. Shouldn’t this be “atheesarayata ambuda gahanawa wage wadak”? In summary, it is something like CBSL asking exporters and nannies to put more foreign exchange into a bucket but drills a hole in the bucket by way of wrong policies. I think a lot can be done by this government but it appears to be incompetent/inefficient. I think Govt. needs to fire well coordinated three bazookas in aggressive manner (not in snail pace). (1) Policy bazookas (monetary policy, tax, fiscal, business friendly policies, anti-corruption laws etc.). (2) Economic management bazooka (eliminate inefficiency and streamline unproductive processes and over employment in SOEs, build independent organizational infrastructure, i.e. judiciary, CBSL, Civil Service etc.) oversight role and check and balances etc. (3) Anti-corruption operation bazooka – Target on corruption and black money, money laundering, tax evasion, drug etc. A correction is needed. One cannot say that NU was victimized. He was found guilty. If I am permitted to mention NU was one of the two Governors sacked by the Government after following the due procedure in Parliament by way of a sessional paper for misdemeanors committed while being the Governor. Laws may be draconian but as long as they are in books we have to abide.